LOS ANGELES (Bloomberg) -- Toyota Motor Corp. will introduce more hybrids, plug-in hybrids, electric cars and fuel-cell vehicles to boost sales in the United States. Toyota also will offer a 25,000-mile, two-year free maintenance deal in the United States on all Toyota and Scion-brand models, the automaker said today in a statement on its U.S. sales Web site. The move expands on the offer the company made earlier this year of two years of no-cost standard maintenance on Toyota-brand models. The company is adding more products and service incentives as it seeks to regain market share. Toyota posted the smallest increase in U.S. sales this year through September among the top eight carmakers. The automaker's U.S. sales rose 1.1 percent to 1.3 million units in the first nine months of 2010, compared with a 21 percent increase for Ford Motor Co. and 20 percent for Hyundai Motor Co.
Toyota also is investing more than $1 billion on a new plant in Mississippi to increase production of Corolla compacts, and it is increasing truck production as demand recovers, the statement said. Toyota is relying more on local designers and engineers to tailor products for the North American market, it said. 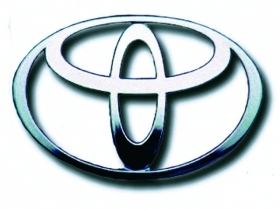 Toyota is aiming for U.S. sales of 2 million units by 2013, the Wall Street Journal reported today, citing a person it didn't identify. Steve Curtis, a Torrance, California-based spokesman for the automaker's U.S. sales unit, declined to comment on the report.